Over 800 competitors gathered on Stockton Riverside for the sixth Stockton Duathlon Festival. The sun was shining for this exciting run-cycle-run race, held in the heart Stockton’s Riverside and open to athletes of all abilities. For those taking part there were four separate races, providing a unique challenge for all fitness levels and a great spectacle for supporters who lined the routes. The day began with the first Novice and Sprint race distances starting at 9am with a 2km run, 10km cycle & 1km run for the novice competitors and a 4km run, 20km cycle & 2km run for the sprint. Further races included a second sprint race at 11am with a 5km run, 20km cycle & 2.5km run and the main standard race with a 10km run, 40km cycle & 5km run at 1pm. The participants were joined by a healthy crowd of spectators cheering on the elite athletes chasing their personal bests or qualification times, alongside the enthusiasts enjoying the fitness challenge of the various race distances. The event also acted as a qualifier for the European Duathlon Championships (Standard race) and World Duathlon Championships (Standard and Sprint race). Fancy a challenge for 2019? 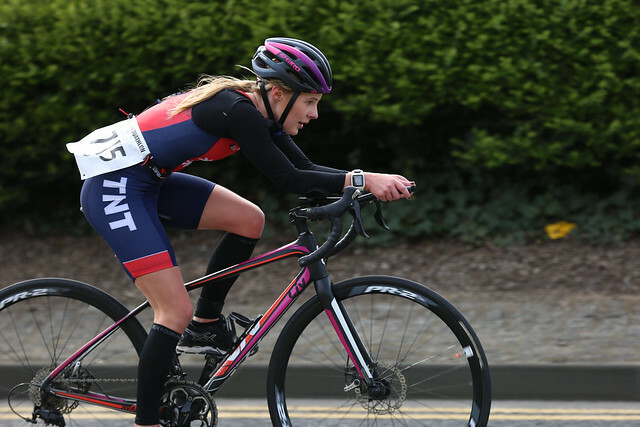 Information on how to register for a place in next year’s Stockton Duathlon will be released later in the year – be sure to keep your eye on our events website to book your place!